Are the Amazon Echo, Google Home, and Siri Making People Less Polite? 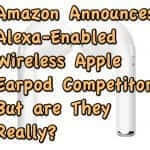 Are Amazon Echo’s Alexa, Google Home’s, er, Google, and the iPhone’s Siri making people less polite in general, and making children less polite in particular? Given that none of these personal assistants require any manners, some fear that they are. He has a point, and apparently the experts think so too. However it seems pretty clear that people are starting to see some of those consequences, and, according to them, those consequences include teaching a whole new generation to dispense with common niceties, and to expect their unmannered requests to yield immediate results. 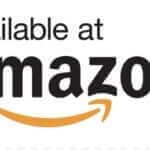 In an article addressing this issue in USA Today, Michigan pediatrician Jenny Radesky explains that what is important to counteract this is for parents and other adults to use manners when interacting with their Echo or Google Home, and Siri, in front of the children. In other words, adults need to preface their requests to those digital assistants with “Please” and then to say “Thank you” upon receiving the results of their request. We’re not so sure about either of these premises. 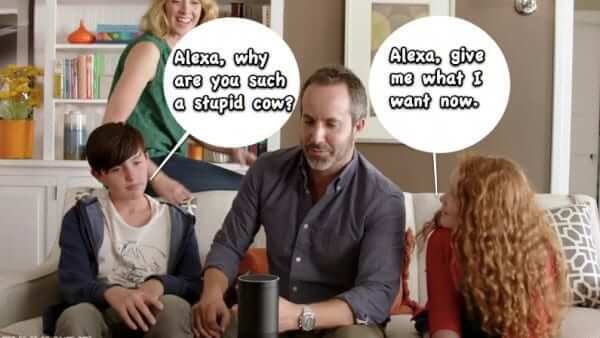 In fact we think that if children overhear their parents saying “Alexa please…” and “Thank you, Alexa”, that the children are likely to roll their eyes and school mom and dad on the fact that an Echo, iPhone, or Google Home are non-sentient devices and don’t need to have “please” and “thank you” said to them. Have any of you witnessed a child becoming less mannerful with the advent of a smart speaker in the home? And do you use manners when interacting with a digital assistant? 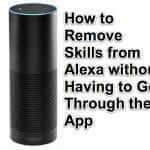 Are Amazon Echo's Alexa, Google Home's, er, Google, and the iPhone's Siri making people less polite in general, and making children less polite in particular? Given that none of these personal assistants require any manners, some fear that they are.